Meet our Advisory Council! If you’re interested in getting involved, please visit our Become a Member page. 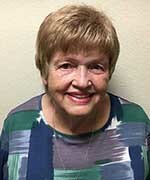 Antoinette “Toni” Olson spent her career in nursing and healthcare, retiring from Los Robles Medical Center as Director of Acute Rehabilitation. 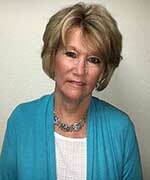 Toni became a volunteer with the Simi Valley Police Department in 1999 and was Volunteer of the Year in 2011. She’s a member of the SV Council on Aging, FBI Infragard information sharing team, Simi Valley Unified School District Independent Oversight Committee, and is an Amber Alert volunteer. 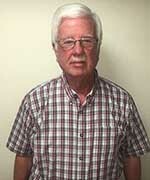 Nick Fotheringham is a liaison from the Thousand Oaks Council on Aging and a member of the VCAAA Legislation Committee. 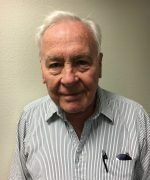 His responsibilities for the Thousand Oaks Council on Aging include being the chair of the Senior Adult Master Plan Implementation Committee. He has been a resident of Thousand Oaks since 1985. Jay is a retired healthcare executive who held various positions in acute care hospitals and administrator and executive director positions in several skilled nursing facilities. Upon retirement, Jay committed to utilizing his experience to serve and help meet the needs of seniors and frail elderly in Ventura County. In July 2014 Jay began serving an elected term on the Executive Board of the Camarillo Council on Aging. 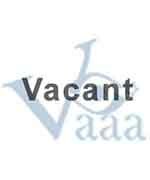 The City of Fillmore has a vacant position on the VCAAA's Advisory Council. For more information about the application process please contact David Rowlands at drowlands@ci.fillmore.ca.us. Sandy Fide retired from the Southern California Gas Company in November 2009, having worked various positions in her 40 years of service. For more than 14 years, she has enjoyed volunteering as an usher for the Thousand Oaks Civic Theatre. She sings with the Forever Young Singers from the Goebel Senior Center in Thousand Oaks, entertaining the elderly at many area retirement homes. Sandy enjoys seeing her three grandsons who live in Fresno. 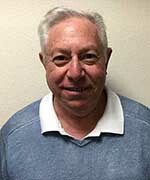 Glenn Rowe was selected to the VCAAA Advisory Council by the City of Moorpark. 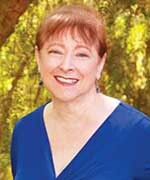 Deirdre Daly is the representative for the City of Ojai. 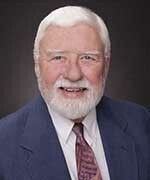 Resident of West Ventura County since 1967, Clark Owens was an area realtor for 45 years. He serves on the Oxnard Senior Services Commission for a new senior center. As co-chair of the VC Coalition of Home Modification, he helped seniors and adults with disabilities continue to live independently. He has also held roles on the Ventura Planning Commission, was Chairman of the Ventura Chamber of Commerce, and served as President of the Ventura Board of Realtors. Alice Frost Sweetland was born at Lying Inn Hospital in Oxnard. She has volunteered with St. John’s Hospital Auxiliary for almost 50 years, served on the Board of St. John’s Healthcare Foundation, and belonged to VC Forty Leaguers. She is chair of the Oxnard Senior Services Commission and the coordinator of a speakers’ bureau of senior citizens for the VCOE. A recent widow after 52 years of marriage, she spent most of her married life in Oxnard. Alice has 3 children and 2 grandchildren. The City of Port Hueneme has a vacant position on the VCAAA's Advisory Council. For more information about the application process please contact Anna Hanely at ahanely@cityofporthueneme.org. Martha Navarrete is the Executive Director of the Santa Clara Valley Hospice, which is a nonprofit, community volunteer organization. She holds an Master’s in Public Administration and a Bachelor's in Computer Engineering. She worked for the counties of Ventura and Los Angeles as an Analyst and Project Manager. Prior to that, she taught in several universities and colleges and worked for a coalition of 13 nonprofit agencies as their Finance Director. 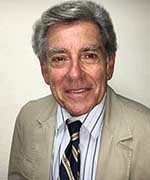 Neill Spector is a native Southern Californian and has been a resident of Simi Valley for the past eight years. 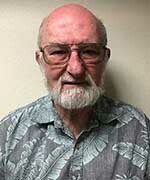 He's an active member of the Simi Valley Senior Center and is the city's current representative to the VCAAA. He takes a serious interest in issues regarding the well-being of seniors throughout Ventura County and is pleased to have the opportunity to serve the community. 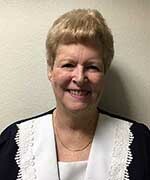 Loretta Allen is the representative for the City of Thousand Oaks. John Posta is the representative for the City of Thousand Oaks. Lori is a longtime advocate for seniors, providing support through teaching, residential placement, and implementing educational events. 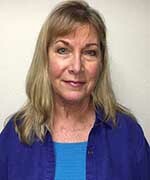 Besides serving on the Advisory Council, Lori is secretary for the Ventura Council for Seniors, current Co-Chair and immediate past Chair of the Elderly Fall Prevention Coalition of Ventura County, past Chair of the Healthy Living for Individuals 55+ Committee, and member of the Ventura County Evidence-Based Health Promotion Coalition. Suz Montgomery is a passionate advocate for seniors to stay engaged in living. She is on State Senator Hannah Beth Jackson’s select committee on Aging, was appointed as a lobbyist of the VC AARP, and established the nonprofit Extended Learning Academy. As an older adult educator, she created ENCORE, a free senior computer training program that gives seniors skills for employment. She makes visits to care homes and hospitals, runs errands for those in need, and so much more. Joyce Pinkard is appointed by the Board of Supervisors as a senior representative. David Birenbaum is appointed by the Board of Supervisors as a senior representative. Bill Cunneen is a retired Navy Officer who served as a pilot and technical manager. 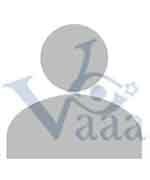 He holds a Bachelors Degree in Mechanical Engineering and a Masters Degree in Physics. In retirement he became a caregiver for his wife who became an invalid in 2006 and died in 2013. He represents County Supervisor Kelly Long on the Advisory Council and is involved in adapting the Ventura County educational system to develop the workforce of the future. 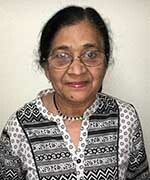 Smita Dandekar enjoys teaching ``Yoga for Wellness`` classes in the Simi Valley Senior Center. As a retired person, she works with the members of the VCAAA Advisory Council and volunteers to help seniors in any way she can. 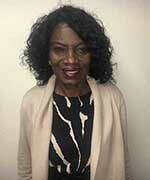 Rose Gossom is appointed by the Board of Supervisors as a senior representative. 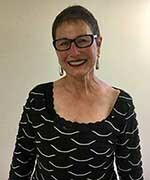 Martha Shapiro, LCSW, is director of programs for Senior Concerns, overseeing the Adult Day Program and the Caregiver Support Center, ensuring participants are treated with dignity and respect to maximize quality of life. She earned a Master’s in Social Welfare from UCLA and holds a License in Clinical Social Work. 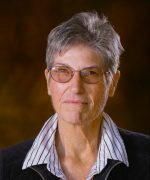 Martha serves on the LGBT Aging Coalition of Ventura County, Ventura County Compassionate Care Coalition, and Dementia Friendly Ventura County. Mike Williams is president of Grey Law of Ventura County Inc. He is a graduate of Alan Hancock College and CSU Fresno. He served in the Coast Guard from 1970 to 1973, and joined Grey Law in 1979 before becoming president and director in 1981. 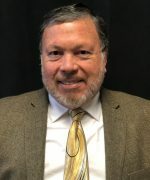 Mike has served as a commissioner for the Ventura County Housing Commission and has held a regular role as an instructor at the Ventura College of Law, He maintains a private law practice that is limited to Estate Planning and Probate. 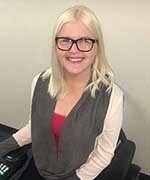 Dani Anderson is Executive Director of the Independent Living Resource Center. She has worked in state, federal, and nonprofit disability advocacy for more than a decade, with focus on community education of disability pride and improving communication. She is Chair of the Governor appointed California State Rehabilitation Council, and past member of the Calif. Advisory Commission on Special Education. 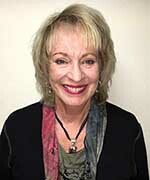 Sue Tatangelo has more than 25 years’ experience in developing and implementing programs and services to improve quality of life for vulnerable older people and their family caregiver. 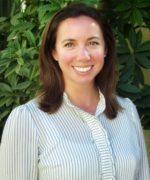 With a master’s in Organizational Management and grad of the VC Leadership Academy, she is Chief Resource Officer for the Camarillo Health Care District, where she championed the development of the Wellness and Caregiver Center. Marcy Sherbok has served as an activist in Ventura County since the early 1990’s. Along with her participation on the VCAAA's Advisory Council, she helped launch the VCAAA Foundation as secretary of the Board of Directors. Marcy is actively involved with the Ventura County LGBT Aging Coalition, working to improve services to the county's LGBT community. Marcy and her soulmate Joan have been together for 23 years and celebrated their 10th wedding anniversary in July 2018. An Oxnard resident since 1972, Cleo Anderson is the mother of two sons and an active member of her church. As Director of Social Service Ministry, she directs its COPING program, which aims to reduce the stigma of mental illness by outreach and education to the African American community and offers resources in partnership with Ventura Behavioral Health. She is also owner and Executive Director of the nonprofit Trinity House Group Homes, providing residential care to at-risk youth. 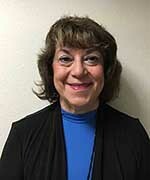 Sylvia Taylor Stein is Executive Director of Long Term Care Services of Ventura County Ombudsman Program. She serves on the board of the Calif. Long Term Care Ombudsman Association and is a member & former officer of the National Association of Local LTCO. She is a member of Consumer Voice and CANHR Least Medicating Team and chairs the Committee for an Independent State Ombudsman, sponsor of SB 345, LTCO Program Independence and Improvement Act of 2012. 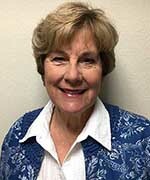 Karen Gorback, Ph.D., is a retired dean from the Ventura County Community College District and taught in the Graduate Schools of Education at CLU and CSUN. Karen is commissioner on the Thousand Oaks Council on Aging and volunteers with the Conejo Valley Village and KCLU Radio. She was crowned 2015 Ms. Senior Ventura County and is enjoying an encore career as a writer. 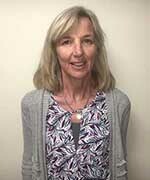 Karen loves teaching Memoir Writing at Conejo Valley Adult School and promoting re-entry education and writing. Tony Gitt is Director and Treasurer of Conejo Valley Village and is a Commissioner on the Thousand Oaks Council on Aging. He serves as chairperson of the Conejo Valley Unified School District Measure I Bond Oversite committee. 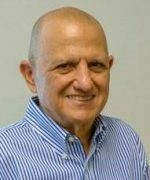 During his career in aerospace, Tony developed the original military GPS receivers as well as inertial navigation systems for commercial and military aircraft. He rose to the level of Vice President of Programs at Litton Aero Products.